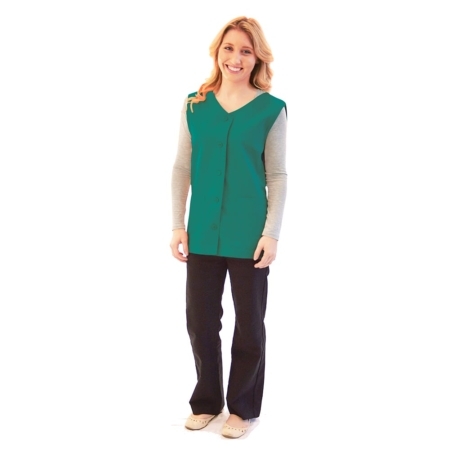 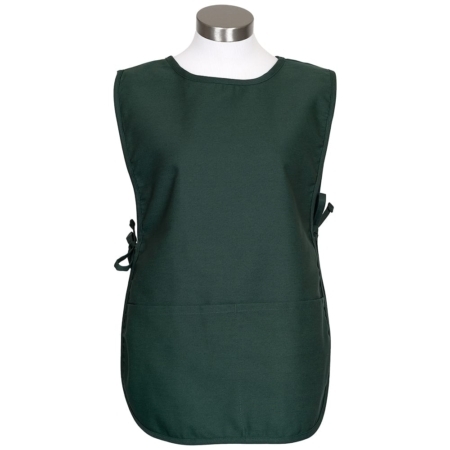 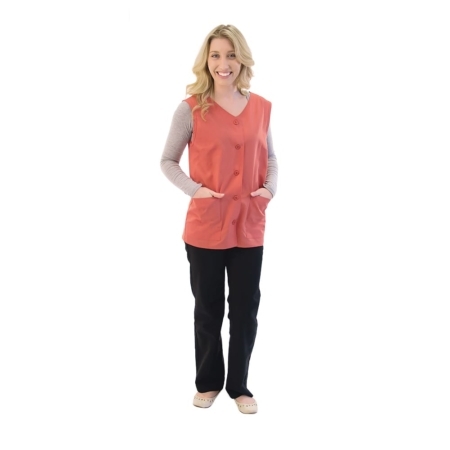 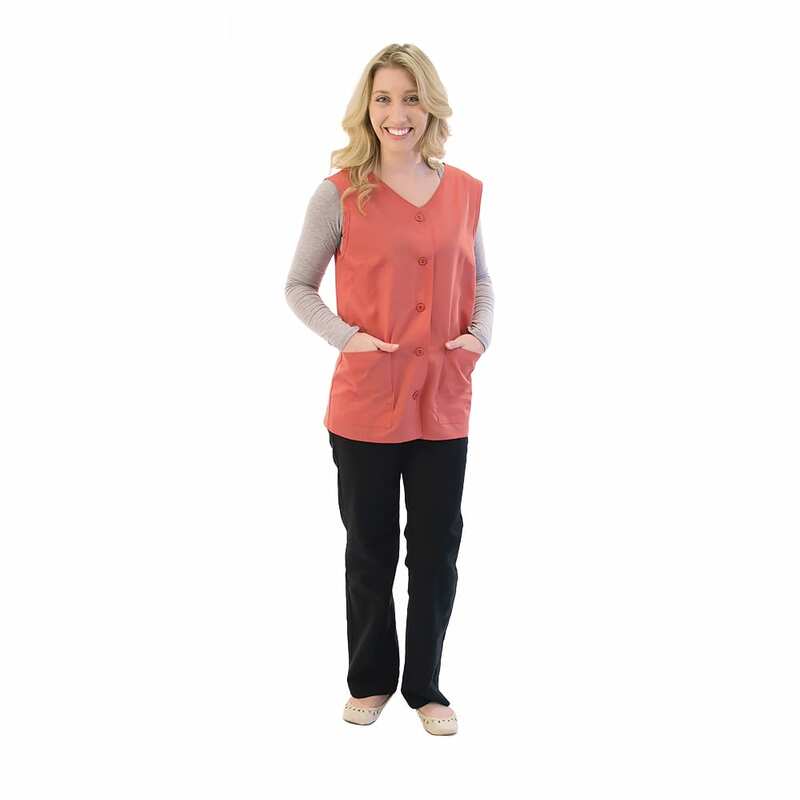 The women’s Sleevelees Smock smock or Counter Coat has Two Lower patch pockets. 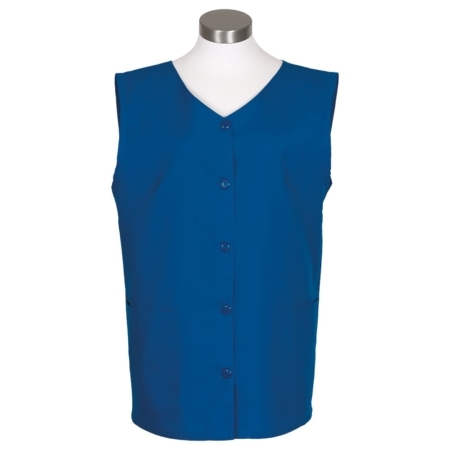 Five color match buttons. 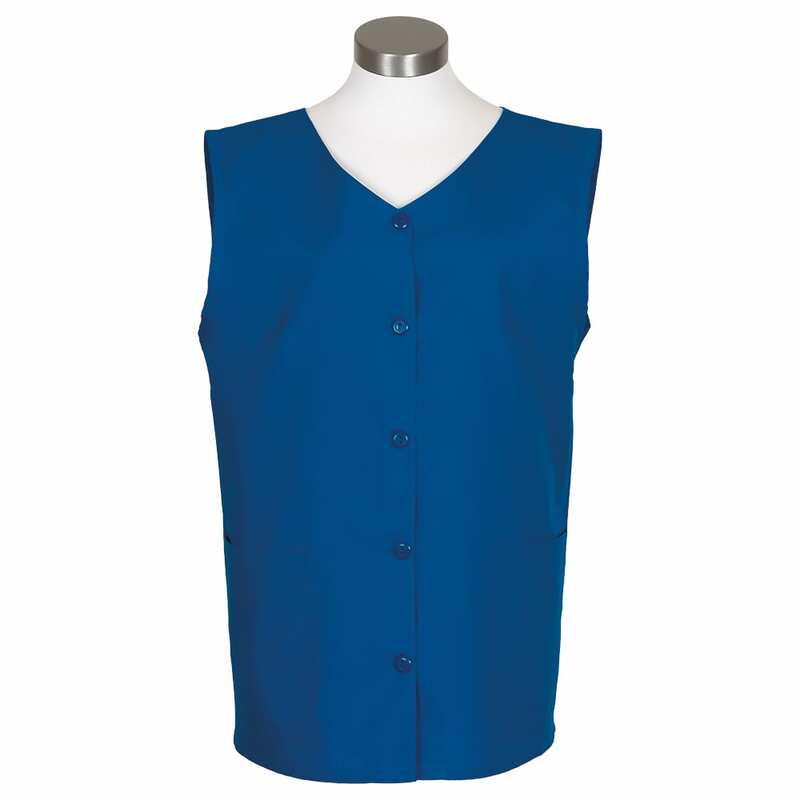 The fabric is a Comfortable, lightweight 65/35 4.5 oz. 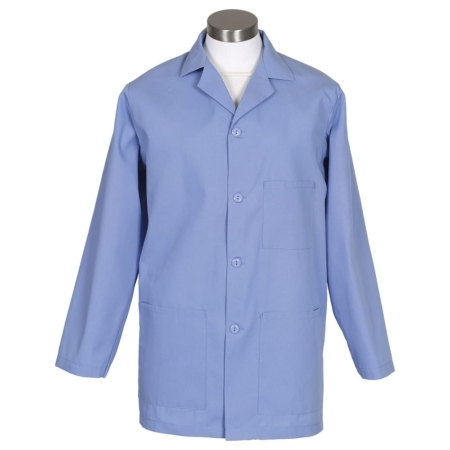 poly-cotton Poplin. Available in sizes XSmall thru 5X. 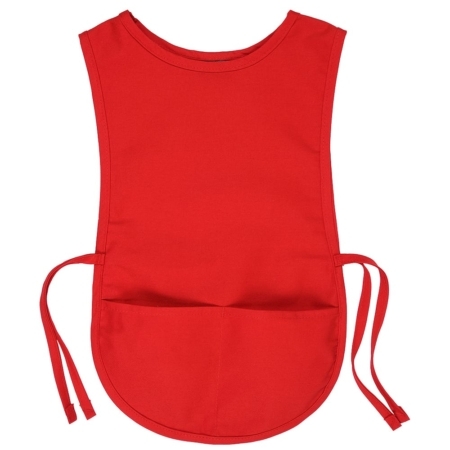 This can be used in the classroom for Teachers, Supermarkets, Deli’s and Pharmacy.